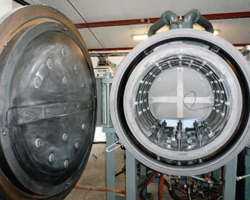 Coidan Graphite Products have over the years supplied spare hot zone parts for the majority of makes of vacuum furnaces, as a consequence we have considerable experience in the selection and design of replacement parts. Equally we have years of knowledge of failure modes of these designs and when rebuilding we can redesign the assembly to improve the reliability of the equipment. 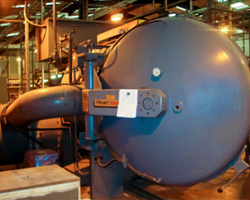 Old control equipment can be replaced with more reliable modern controllers (which allow much greater iteration of the inputs into useable data) this can bring an old furnace up to scratch as far as data collation for NADCAP standards along with the demands of the Aerospace and Electronics sectors. From our base in the heart of the North Yorkshire in the U.K., Coidan Graphite Products are able to offer the services of a experienced team of engineers (available within short notice). This experience and stocks has enabled Coidan Graphite Products to offer everything from breakdown service support, to the supply of one or two critical spares leading to minimal downtime and increased productivity. 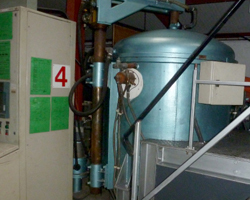 In addition to overhauling furnaces we also offer refurbished used furnaces from stock furnaces held at our works – these can be built to whatever specification you desire – NADCAP constraints often being the main desire. A refurbished furnace can be installed and on site way in advance of a new furnace – equally we could replace an existing furnace with a refurbished furnace giving minimal downtime and reduced cost when compared to purchasing a new furnace. 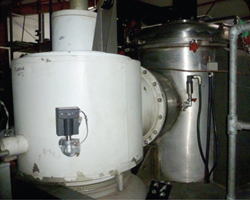 In essence we can supply your furnace needs to match the budget available – used and sold as is ( you to use your own team of engineers to bring the furnace on line) to furnaces used and refurbished to your specifications and installed and commissioned on site. 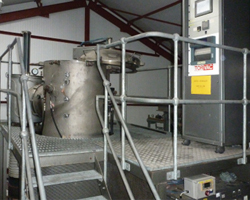 There are many times when a suitable used furnace cannot be located in the time period required – here we would suggest you contact us to quote for a new Seco Warwick vacuum furnace – you will often be surprised at how competitive new equipment is these days. Please contact our sales team on 01423 330492 to discuss your specific requirements.